On Is It Really That Good? we look at different ‘Best Comic Books Ever’ lists and we see if the series on those lists are really that good. Today we are looking at a list composed by Marvel themselves called 75 GREATEST MARVEL COMICS OF ALL-TIME. I’ll include a link to the list towards the end of my discussion. I will be looking at numbers #70-#66. Written by Frank Miller, drawn by John Romita Jr. Daredevil: The Man Without Fear doesn’t pull in any punches. The comic book is so good with a dark tone that highlights the basics of the character. The comic focuses on the start of Matt Murdock and it is the best Daredevil story I have ever read. It was pretty clear that the Netflix season 1 of Daredevil took a ton of inspiration from this series for great reasons. The characters you meet are really easy to attach to and it is really impressive how Miller managed to put a lot into Daredevil’s ‘Year One’ story. I know this comic book was written in 1963 and that comics were written differently than they are now and that Stan Lee introduced all our favorite superheroes, but this did not age well. 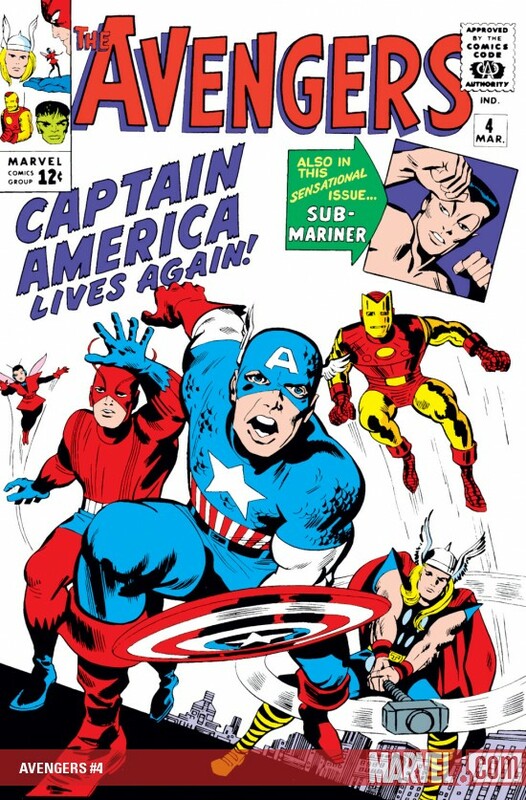 For those who don’t know this issue was the return of Captain America into the Marvel Universe. It sounds like an amazing moment, but in execution it doesn’t deliver. The beginning of when the iconic moment happens is interesting, but the other 75% of the comic is boring. It also makes no sense as Captain America manages to do something in less than a day when it should really take him a couple days given the resources he was given (or not in this case). Jack Kirby’s art is the stand out of the comic as that part in particular didn’t feel outdated. I know there will be some dislike of me saying this because Stan Lee wrote this and it was a huge moment in the comic book history, but I dare you to read this and not get bored halfway through. I dare you. Just to clarify I still have respect for Stan Lee as much as the other guy and this should be recognized for what it is, but maybe not on the Top 75 Marvel Comics of All Time list. This comic book is an example of something that can be a classic, unforgotten and well aged. Amazing Spider-Man #21 was the biggest surprise I read this week. This story surprised me in a sense that it was a story driven tale first, and action later. I don’t wanna spoil a lot, but the relationship between Mary Jane Watson and Peter Parker is the main draw here. The second one is Parker’s, what I like to call, inner demons about the huge decision he is about to make in his life. This is not only on this list for a good reason, but also a must read for anyone. I was truly surprised what James Shooter and David Michelinie were able to do here. A double sized issue with action as not the main focus. On top of that Paul Ryan has excellent art and that’s all I can say with no spoilers. P.S. 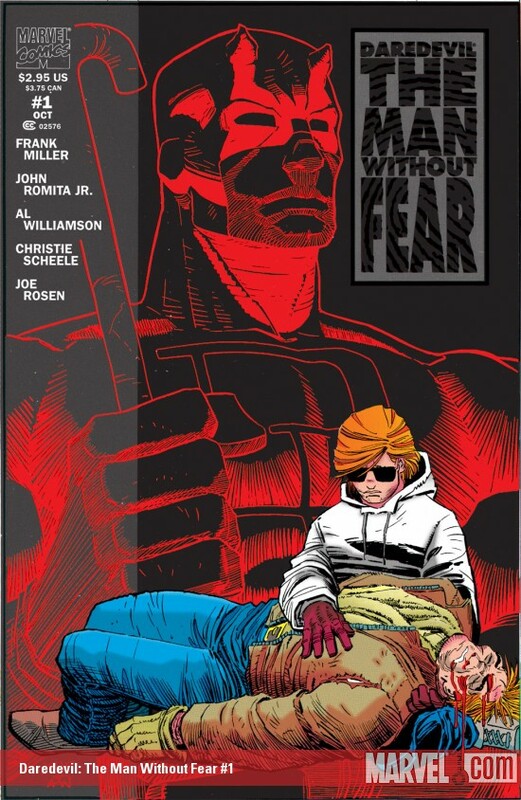 John Romita Sr. drew the cover to this comic and John Romita Jr. drew the entire Daredevil: Man Without Fear meaning both father and son made it onto this week’s list. This was my first time reading X-Factor and this issue in particular was a very good read. Another story driven comic we follow a tale of a mysterious psychiatrist who asks each member of the team questions in a separate room. Each team member of course gets different questions which allows us to see the inner struggles and thoughts coming out of the teammates. There are heroes such as Havok, Quicksilver, Polaris and more. This was something probably very different for its time and ages the best out of all the comics I am analyzing today. If you wanna read this as a standalone or part of a story arc it doesn’t matter. You won’t be confused either way. But did it earn its spot on the list? A fine comic book that follows Thor’s adventure and battle against Hella, the Goddess of the Underworld. The action is very prominent here and done quite nicely, but what I happened to realize is that a lot of the characters in this comic will appear in Thor: Ragnarok. I won’t be surprised if the movie takes a lot of elements from this comic. Skurge is the character that steals the show, but the moment he is not in the comic it quickly falls flat. In my opinion a lot of comics that were placed behind this one deserve to be in front of it. That is it for this week’s list. Remember this is just my opinion that you may agree or disagree with. I love doing this series as it introduces me into the world of classic stories I have never read before. I suggest you check out the list yourself and follow it through. Join me next week as we will look at numbers 65 to 61.